Alan Scott (a.k.a.) Green Lantern is shown presenting the news on air but that's not the thing that catches my eye. This is. Look at those TVs. Where they ever like that? The time is around 1950. Look at how small the screens are compared to the whole appliance. They look really cool in that curio sort of way. 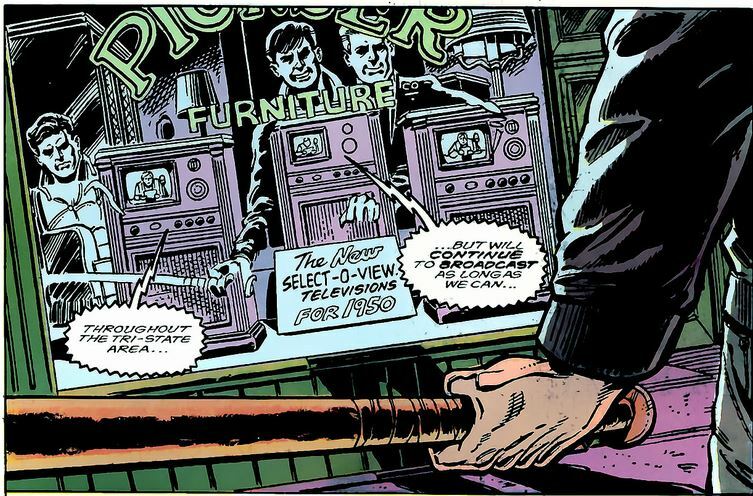 They would have been black and white tvs of course. So these TVs get burglarized and look who comes to accost the robbers. We don't get to see (hear?) the Canary Cry. Apparently these hoods are too low in the totem pole to rate them. 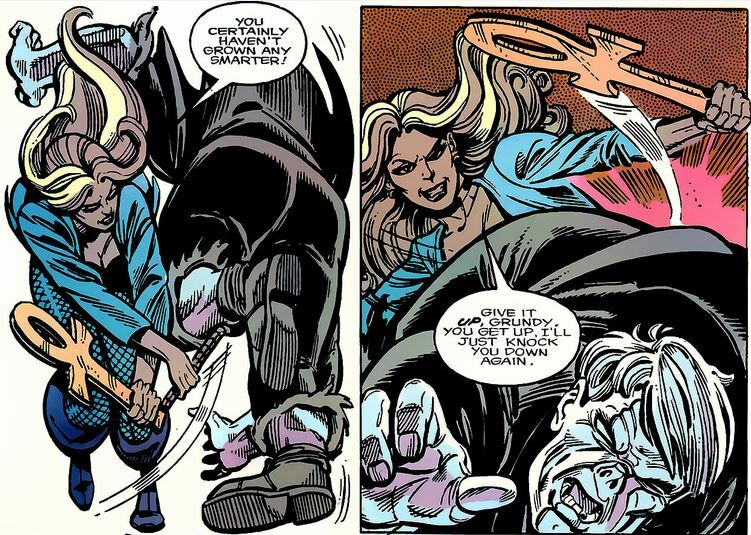 What we do get is Black Canary's martial arts prowess. Unfortunately, there are no panels worth showing. 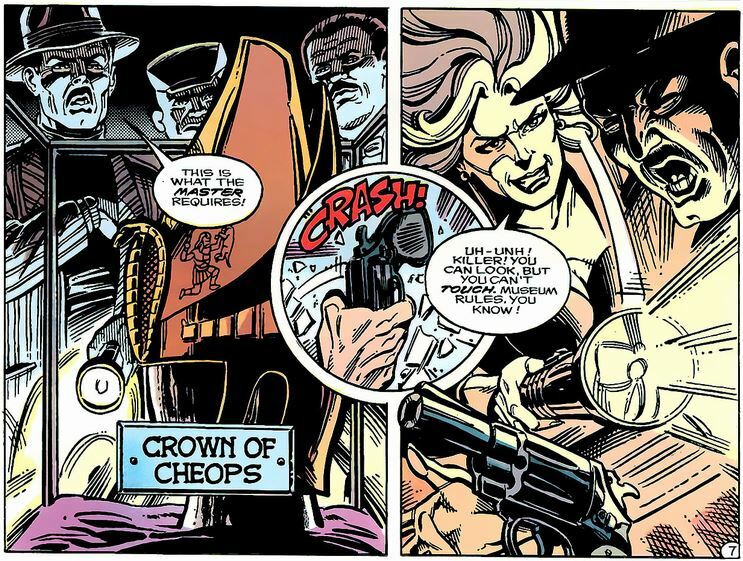 Suffice it to say Dinah wipes the street with these guys. Then she's off on her bike to the next location of trouble - a museum. In the Egyptian section the Canary catches more burglars. The Canary can't get around the necessity of damaging some of the museums artifacts in the interest of staying alive. Oh those mummies! A little hide and seek maneuver ends the fight. Just as we think it's over the opposition just got several orders of magnitude tougher. 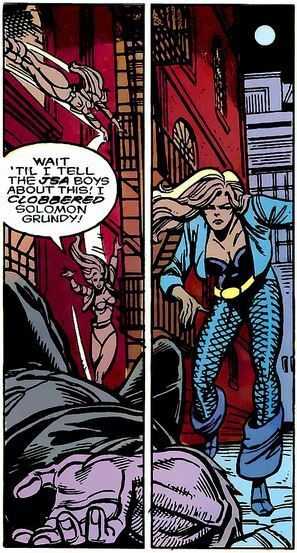 It's Grundy! 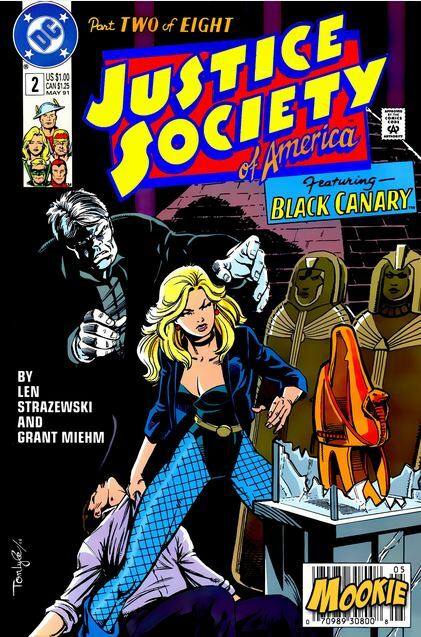 Where's the Canary Cry? Nowhere. 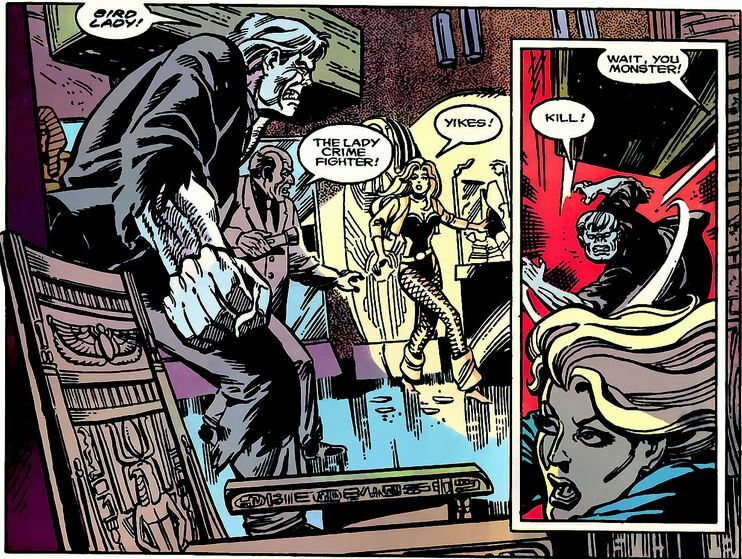 Considering that this is a super-strong zombie, Black Canary is doing pretty well; all smiles too. Did I say 'well'? I meant 'awesome'! 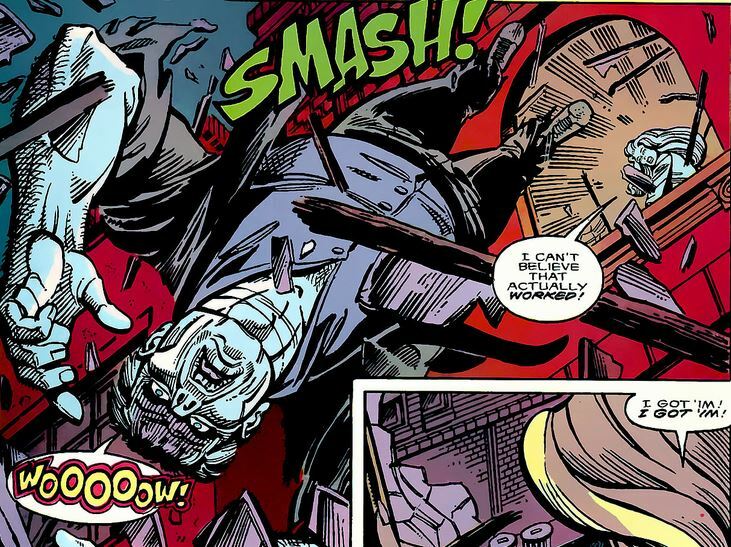 Her acrobatics allows her to throw Grundy out the window. 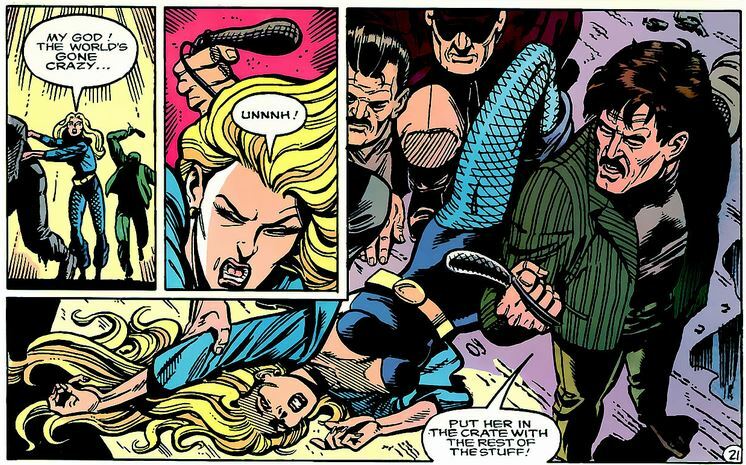 This panel tells us that Black Canary knows just how good this is. It's not over though, Grundy recovers and renews his attack. 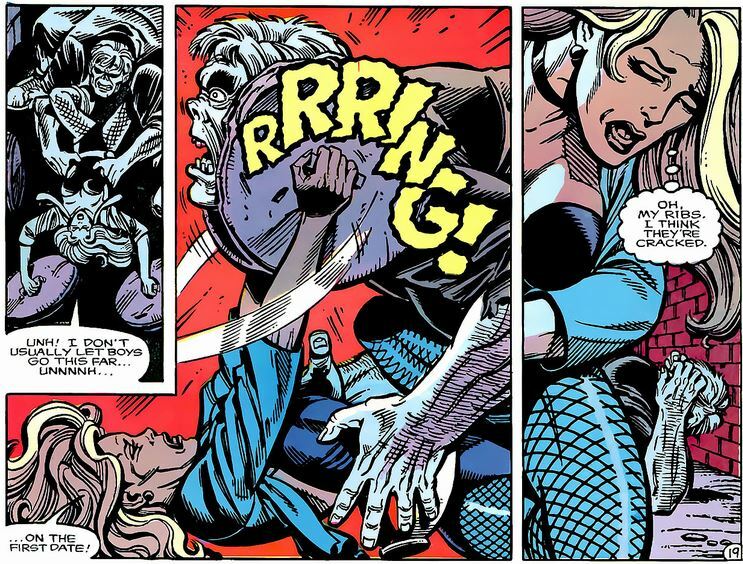 Black Canary hasn't run out of moves. 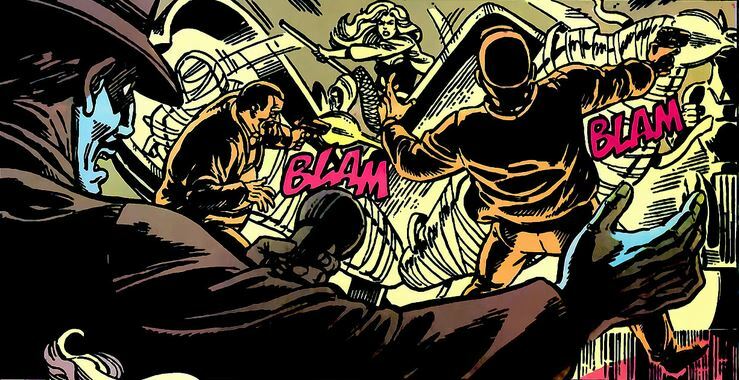 The boys in blue arrive but Grundy makes short work of them. Then the monster is distracted by the Green Lantern (more on that next issue). 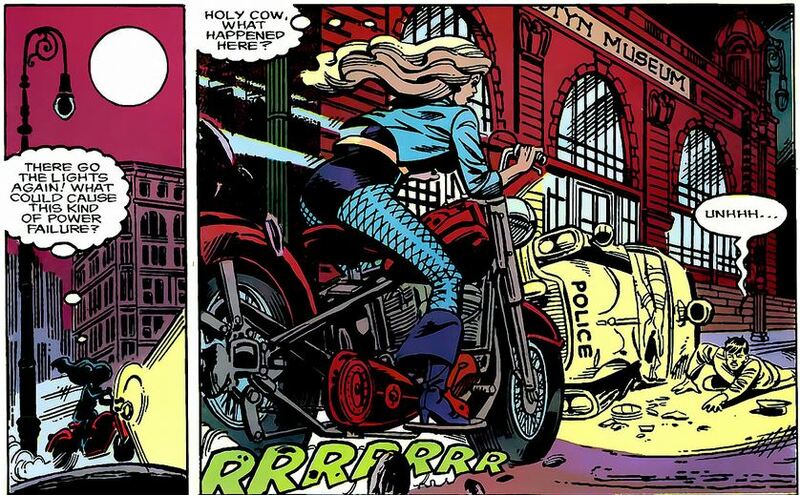 Black Canary sees an opening. 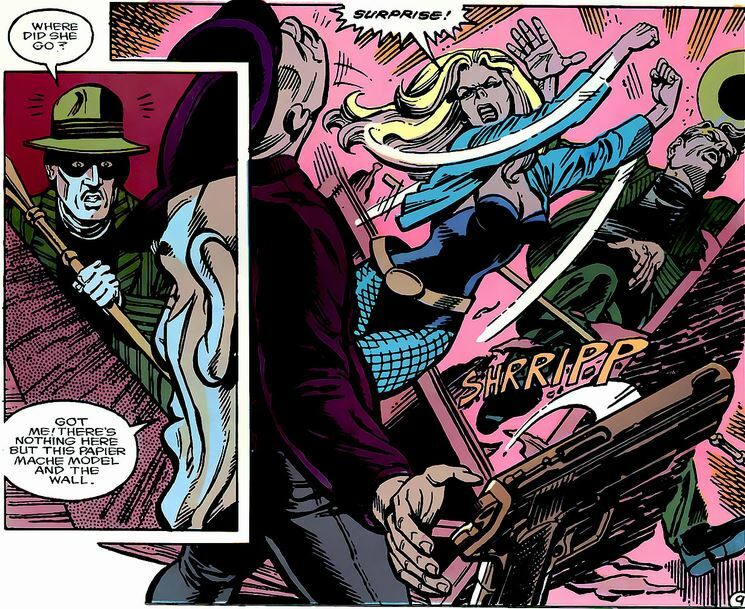 What finally lays her low is a bludgeon from behind. 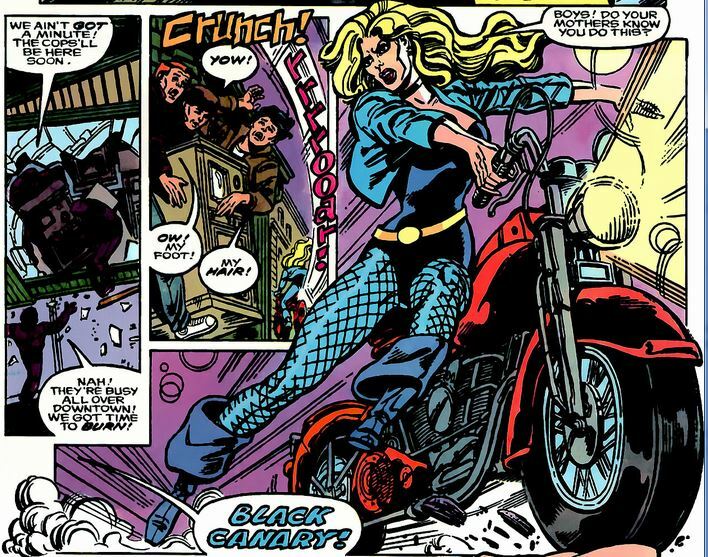 Even so, that was one heck of a great run from Black Canary considering she was just using martial arts and grit. 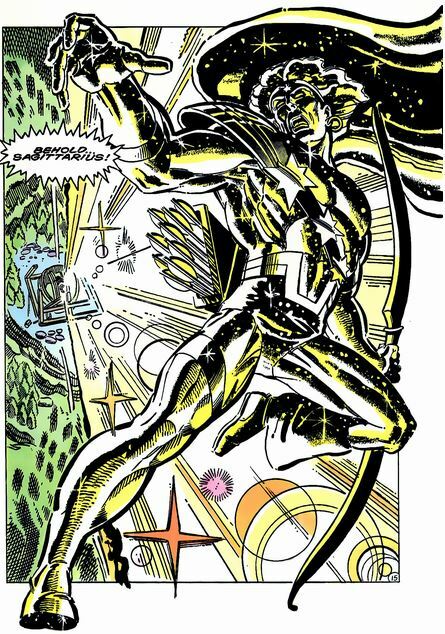 And yes, the Lantern is up in sky fighting an energy creature created by Starman's mysterious captor. We look at the Lantern next issue.